Nicholas Rodney Drake was born in 1948 in Rangoon, Burma. His father, an engineer was married to the daughter of a senior member of the Indian Civil Service. The family returned to England in 1950 and Nick and his older sister Gabrielle grew up in the country estate of Far Leys, near Tanworth-in-Arden, Warwickshire. As a boy he learned to play piano, guitar, clarinet and saxophone and loved composing. Many of his early songs were recorded on the family reel-to-reel tape recorder. Chris de Burgh was in Nick’s first band called The Perfumed Gardeners but left soon after it was formed. Nick played his acoustic guitar using open tuning and finger-picking techniques and despite neglecting his schoolwork won a scholarship to study English literature at Fitzwilliam College, University of Cambridge. He deferred the offer to spend six months at the University of Aix-Marseille, France. There he began to practice guitar in earnest, and busked to make extra cash. In 1967 he traveled to Morocco by which time he was beginning to experiment with hallucinogenic drugs. On his return to England he enrolled at Cambridge University. A fan of the emerging British and American folk music scenes, Nick was influenced by performers such as Bob Dylan, Josh White and Phil Ochs. He gigged in local clubs and coffee houses around London and began to impress. In 1968, he was the support to Country Joe and the Fish at the Roundhouse in Camden Town. A year later he signed to Island Records and released his debut album, Five Leaves Left (1969). Session musicians included Fairport Convention’s Richard Thompson (guitar) and Pentangle’s Danny Thompson (bass), and the album was engineered by John Wood with Robert Kirby and Harry Robinson providing the string arrangements. The sessions were rushed and irregular, resulting in open tension between artist and producer. Despite some interest on release it was not a commercial success. A second album again produced by Boyd and engineered by Wood was released called Bryter Layter (1970). This was more upbeat and jazzier and included bass and drum tracks. However, like its predecessor the album bombed commercially. A third album Pink Moon (1971) was recorded and like the mood of the artist contained songs that were bleak. Despite some critical acclaim the album sold fewer copies than the previous two. Drake’s behaviour was becoming more erratic and Island Records did not over-promote the album. His loyal fans continued to champion his music but privately Nick was suffering depression and insomnia He dreaded live performances and found interviews very difficult. More and more he became disheartened and convinced he would be unable to write again. In 1972 Nick withdrew from both live performance and recording, and went back to live with his parents in rural Warwickshire. He did undergo psychiatric care but seldom took his medications and continued smoking marijuana to the detriment of his health. Drake eventually suffered a nervous breakdown and died in 1974 from an overdose of amitriptyline. Singer songwriter John Martyn wrote Solid Air (1973) as a tribute to his friend and in the years that followed many regarded Nick as tragic figure of romanticism crediting him as an influence. These include: Robert Smith (The Cure), David Sylvian (Japan) and Peter Buck (REM). 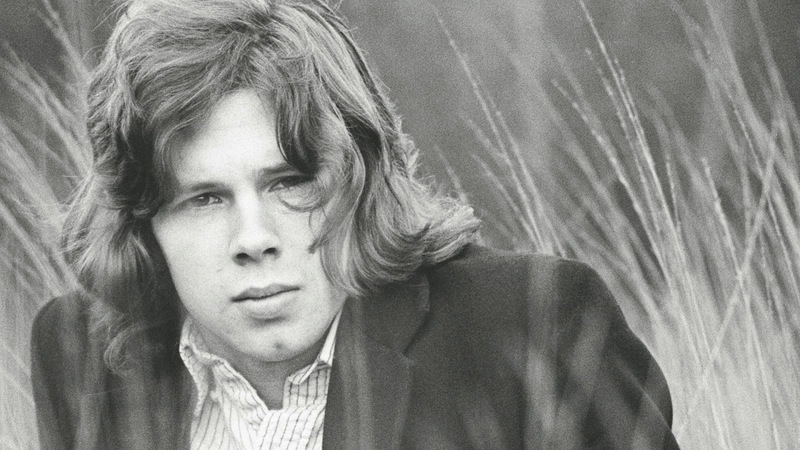 In 1985, The Dream Academy reached the UK and US charts with "Life in a Northern Town", a song written for and dedicated to Nick Drake.